The return of the famous Fringe World this Friday 18th January has got us tingling with excitement. We’re super keen to explore the hundreds of returning Fringe regulars but also the many amazing new acts in a variety of genres. We’re ready to jump straight into another year of stimulating fun and entertainment through the arts of: circus, comedy, music, visual art, dance and more. As the third largest Fringe in the world, Perth’s Fringe festival is a wonderful celebration of arts and culture in WA and offers a great night out for all ages. Bringing acts from all over the world to perform their shows, experience the extraordinary example of quality entertainment that’s on offer. This brilliant WA event runs from 18th January to 17th February so there’s plenty of time to check out everything that’s going on. Here’s our tips and a few acts to watch out for so you get the most out of your Fringe World experience. With over 700 acts spanning 138 venues there is something for everyone to ‘Fringe binge’ on this year. If you’re looking to laugh the night away, the award-winning Comedy Hypnotist Matt Hale’s Feelgood Factory is a must see. Check out Akmal – Trial & Error if you’re a stand-up fan, and The Great British Hate Off is perfect if you like improvisational comedy. There’s also beer and jokes (name a better duo) in the form of Brewed Laughter: Beer Tasting with a Comedian, to create a night for your tastebuds to enjoy as well. Fringe welcomes acts of all different styles, from the spectacular, to the weird and wonderful, there’s bound to be a performance you’ll enjoy. YUCK Circus combines comedy with high-flying acrobatics with a powerhouse of female circus performers. The popular La Soirée returns bigger than ever this year, bringing more sass, comedy and acrobatic mayhem. Did someone say there’s a whole selection of musical performances to listen to at Fringe World? That’s music to our ears! Indulge in live bands, musicals and cabaret. If you like your music with a side of comedy, BOY ZONED delivers the best of the 90’s boy-band era to your ears. Tony Galati The Musical explores the story of Perth’s potato king through the sounds of a hilarious musical. The winners of the 2017 Fringe World Music and Musicals Award, The Fairly Average Dance Band, are also back this year so check them out and see what all the hype is about. Plan ahead – Many of the shows have a limited capacity and are very popular. If you’ve set your sights on a show you want to see, try to get your tickets as soon as you can to avoid disappointment. 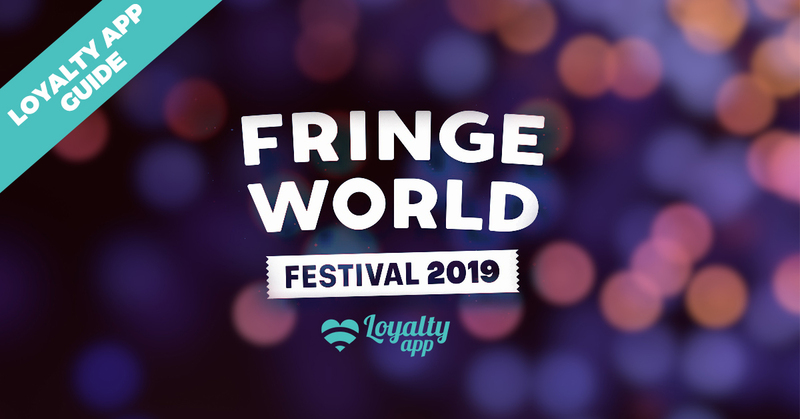 Become a Fringe friend – If you’re going to embrace the full Fringe experience and are planning to go to multiple shows then becoming a Fringe friend will entitle you to discounts and reduced lines as well as year-round benefits. Get there early – To get a pick of the best seats, arrive with time to spare. Allow time to find parking, find the venue and then you’ll also be able to enjoy a pre-show drink before the action begins. You can check out Fringe World’s official guide online or pick up a hard copy at one of these places around Perth. Need a good meal before heading to any of these events? Make sure you pop into one of our many amazing food friends and receive exclusive Loyalty app dollars every time you dine. Download Loyalty app today from the App Store or Google Play and start earning and using your Loyalty app dollars at hundreds of WA brands.